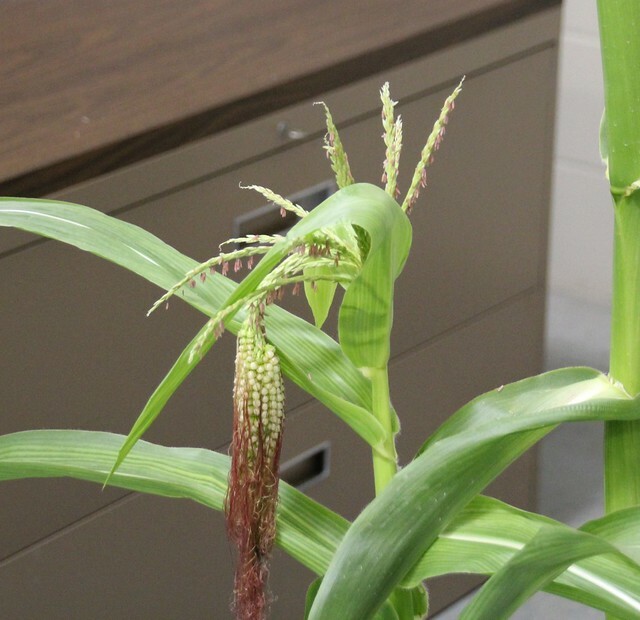 Corn is a weird plant in a lot of ways, but one we don’t think about very much (because it is so obvious) is that a corn plant has entirely separate male and female reproductive structures: tassels and ears respectively. * This isn’t unheard of in the plant kingdom, but in the particular group of grasses corn belongs to (the Andropogoneae) it’s quite remarkable. 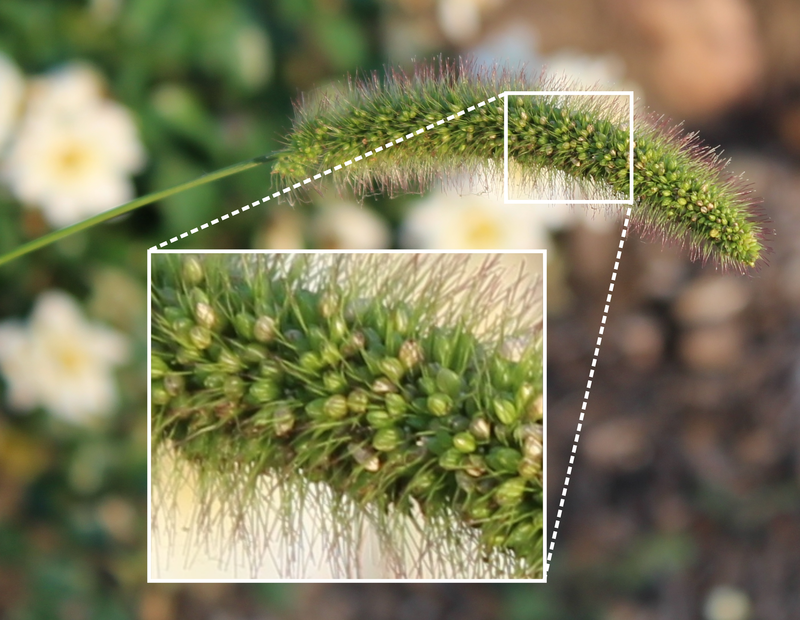 Tripsacums, the closest relatives of corn outside of corn’s own genus (Zea), have separate male and female flowers, but those flowers still share a common reproductive structure with the male flowers at the tip and the female flowers at the base. I’d like to have a photo of my own to show you, but I won’t until the Tripsacum plants growing in our greenhouse flower this summer, so in the meantime, go look at this great photo someone else took. But I bring this up to point out that the segregation of male and female flowers into entirely different parts of the corn plant is still a relatively recent, and fragile, evolutionary development, and it doesn’t take a lot to disrupt it. There’s a series of tasselseed mutants. ** Stresses can do it. Various infections can do it. And sometimes corn plants, particularly tillers, just decide to be confusing. *And no, don’t call sorghum heads (or panicles, it depends on how formal you feel like being) tassels. 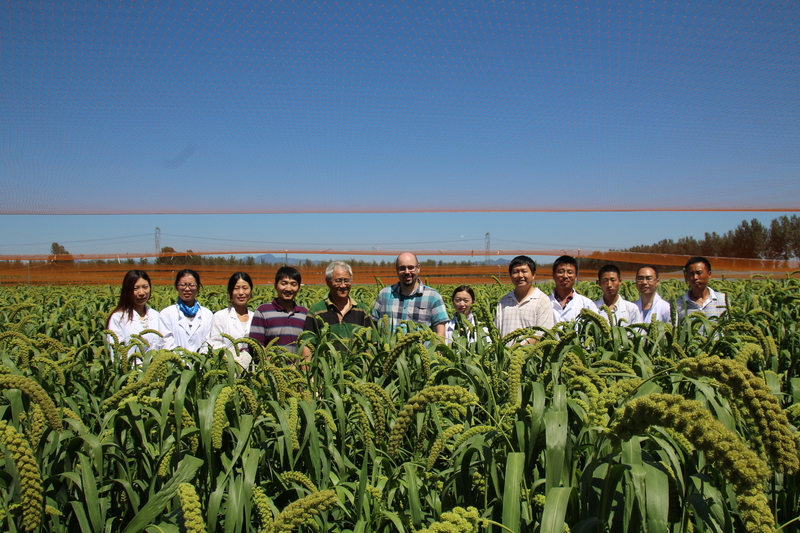 The maize genetics cooperation newsletter (MNL) dates all the way back to 1929. 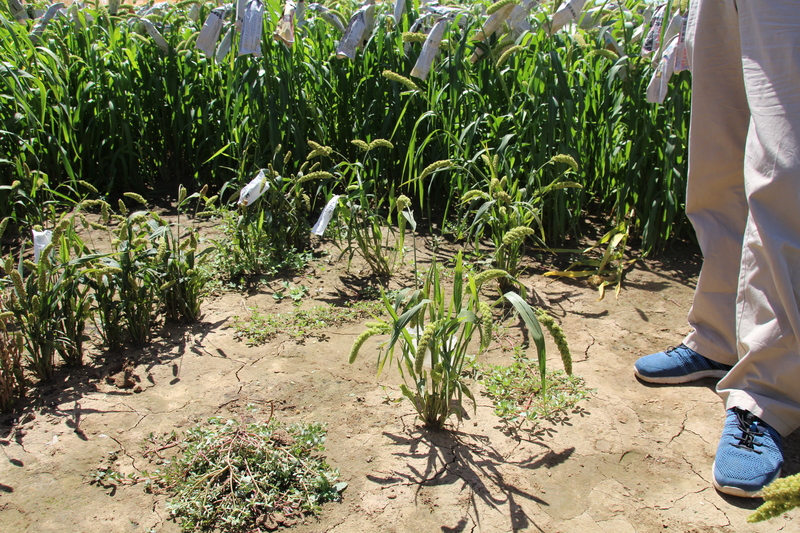 It was (and is) a way for members of the maize community to share interesting findings and preliminary data with their colleagues. 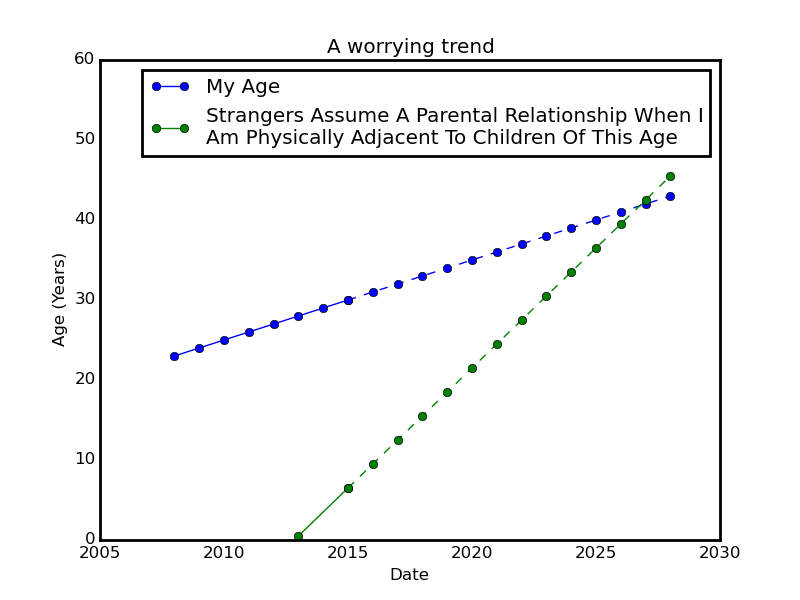 Some of those results would ultimately turn into peer reviewed papers (a process that could take months or years) and others were just little weird pieces of data or observations which would otherwise have been lost as negative or ambiguous results. Here’s a good example of what a MNL note might look like. *Keeping in mind I probably don’t even qualify as a geneticist, let alone a maize geneticist. ** But I am descended from maize geneticists, both genetically and academically. **One of these days I really hope to clone my very own mutant. The photo really says it all. In the first second your eye is immediately drawn to just how similar the two plants look. 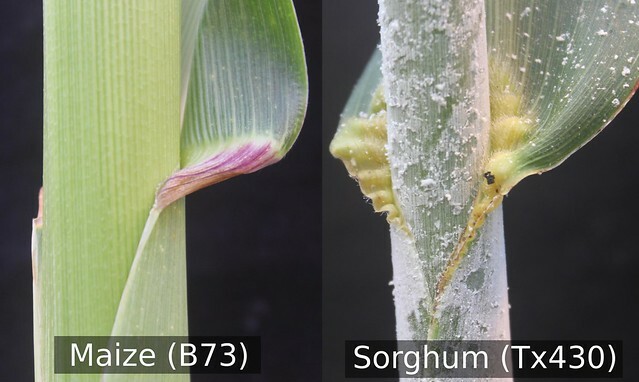 In the second, you start to wonder about the differences between the two (the sorghum plant is way more waxy, the corn plant has a purple auricle from anthocyanins). I want to understand the conserved genomic features that maize corn and sorghum so similar, and the subtle genetic changes that make them so different. Tomorrow I’m driving out to St. Louis for four back-to-back related meetings. 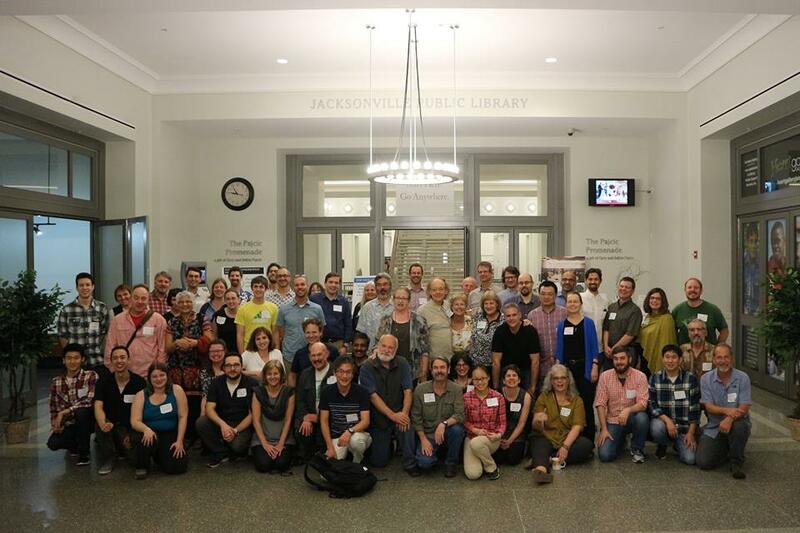 Genomes to Fields, Corn Breeding, MaizeGDB, and Maize Genetics Conference. For the 3rd year in a row the Maize Genetics Conference is going to operate under an “opt in” social media policy. Unless people explicitly opt in, attendees are forbidden from discussing talks or posters on social media (presumably this include blogs). Seven years ago, at my second maize genetics conference ever, I would have been in violation of this policy (if it had existed at the time) because I wrote these two posts. I know one of the authors well and he’s never expressed any concern over that post, and, while I’ve only met the second author in passing, I’m guessing she wasn’t bothered by my post since she cited it in her masters defense announcement. At 32 days after planting, the wild species (Setaria viridis, A10.1, green foxtail) takes a commanding lead in life cycle over the domesticated crop (Setaria italica, foxtail millet). Domesticated foxtail millet on the left, wild green foxtail on the right. Both 32 days after planting. 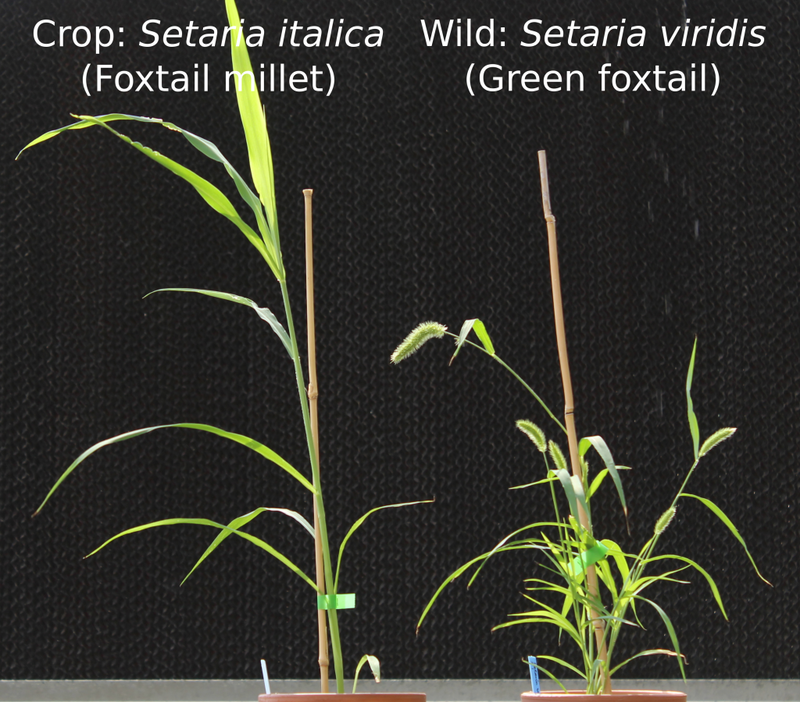 But don’t despair, you fans of working with domesticated species: Foxtail millet still have a good chance of taking the lead in the generations per year game. After they are harvested seeds from that green foxtail plant won’t be ready to germinate for months, while the foxtail millet seeds can be planted as soon as they are mature enough to harvest. 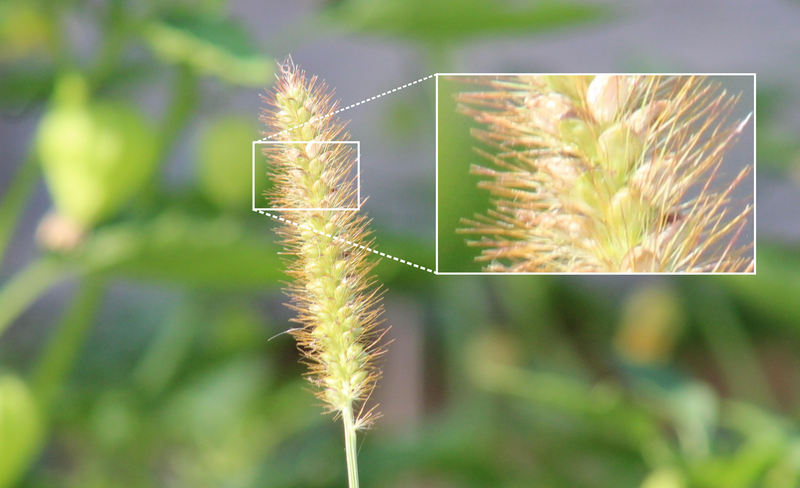 So I’m now confident the Setaria photo in the last post was yellow foxtail (Setaria pumila). One of the key diagnostic criteria is the larger spikelets of yellow foxtail relative to green foxtail (Setaria viridis), which sounds fine on paper, but you need a reference point to compare against. Now I have one. This is either Setaria viridis or Setaria faberi* but either way you can see the much smaller spikelets than yellow foxtail. Setaria viridis or Setaria faberi. Setaria faberi is an allotetraploid formed by a cross between Setaria viridis and a closely related species. Setaria pumila (yellow foxtail). Click to zoom.